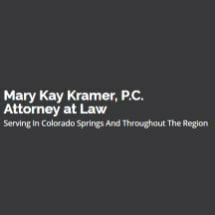 As a family law attorney, I practice with a single goal in mind: To provide legal support to individuals and families in Colorado Springs when they most need it. A divorce will affect all areas of your life. It will fundamentally alter your relationships with your child or children. It may threaten your financial stability, or restrict where you are able to live. As such, it is no surprise — and no secret — that divorce proceedings are often fraught with anxiety and anger. My aim, whenever possible, is to make the process easier for all parties involved. Through negotiation and mediation, I strive to help spouses reach accord with regard to matters including custody, child support, spousal support, asset division and related concerns. I am skilled at working with opposing counsel to achieve mutually beneficial resolutions. Nevertheless, when the situation warrants it, I offer my clients aggressive and effective litigation services. Prior to opening my family law practice, I served as a state prosecutor and as corporate defense counsel. I am familiar with the inside of a courtroom and unafraid to assert my clients' rights and interests at trial. During divorce, your actions and choices will have consequences that are far-reaching and long-lasting. It can be essential to work with a lawyer who will help you avoid the most — and least — common legal mistakes. For more than 20 years, I have served families throughout El Paso County. I offer free consultations, and am ready to help you, too.